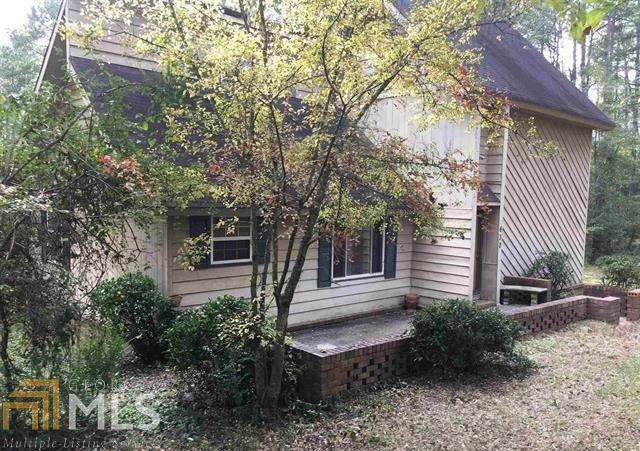 Located in a very desirable lake community, convenient to Atlanta, Hartsfield Jackson airport, shopping and dining. This community comes with great neigbors and is surrounded by Jackson lake !!!! Marina with public boat launch is just around the corner and located within 2 miles. This home has tons of potential.. located on 10 acres of partially cleared, level, open land, that also includes woods for privacy and a fence - the possibilies are endless !!! Can be subdivided after closing. has Has road frontage on both sides. Sellers have made some recent renovations.. add your finishing touches and make it your dream home !!! 2 story ceilings in kitchen & living area & master on main !! Don&apos;t miss out on this awesome opportunity !! !